The 15K Challenge (9.6 miles) is a less demanding course that is suited for shorter distance trail runners, moderate-distance hikers, and the more leisurely pace of fitness walkers. The route offers a combination of roads and single-track bike paths through Pine Grove Furnace State Park and Michaux State Forest. The 15K Challenge is supported with beverages, snacks, first aid, and radio communications at one checkpoint to assure that safety-first is maintained. There is also a stand-alone water station at the 5K mark. * Cumulative vertical ascent is 1,454 feet. * Highest elevation point is 1,412 feet at the 8.5 km mark. * Lowest elevation point is 699 feet at the 1 km mark. START: 8:00 AM registration at Furnace Stack Pavilion, 9:00 AM start, must finish by 2:30 PM. TRAIL MAP: Download the 15K Challenge Trail Map here. Very good to excellent running surface (gravel, macadam, hard clay road) Start to 1.5 km 3.7 km to 6.2 km 13 km to FINISH. Not sure about your level of hiking endurance? Give the 15K Challenge a try and find out! ENTRY FEES: All entries postmarked or received online by March 1st to receive short sleeve tech shirt in the size ordered. Afterwards, including day of race, shirts will be distributed while supplies last. To ensure adequate supplies on the course, registration before race day is encouraged. The entry fee covers breakfast of bagels, muffins, yogurt, fruit, juice and coffee; snacks and drinks at each Check Point; a full smorgasbord of hot and cold food at a finish-line picnic with some adult beverages, a goodie bag, a tech t-shirt, and a finisher’s premium for the 50K Ultra only. Events held rain or shine. We reserve right to delay starting time and cutoff time in case of mega-bad weather. No refunds. No mailing of shirt or awards. 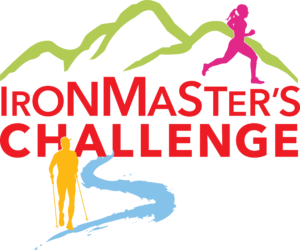 FINISH LINE PICNIC AT IRONMASTER’S MANSION and AWARDS CEREMONY: Begins at 11:00 and runs until 5:30 p.m. An awards ceremony will be held at 12:00 and 2:00 p.m.